Pro-Change Behavior Systems, Inc. will be well represented at the 2016 Connected Health Symposium taking place on October 20-21 in Boston. The theme of this year’s meeting,”Digital Technology that Cares: Bringing the Human Element to Life,” resonates with Pro-Change’s philosophy-it’s what they strive for in each of their products. Three team members are slated to present posters on the development, acceptability, and outcomes of Pro-Change’s latest digital health technology solutions. Deborah Levesque, Ph.D., Chief Science Officer, will present a poster entitled “A Stage-Based Mobile Intervention for Substance Use Disorders in Primary Care.” Dr. Levesque’s poster outlines the development and acceptability testing of a mobile-delivered substance use risk intervention for primary care patients as well as a Clinical Dashboard for primary care providers that can address major barriers to using Screening, Brief Intervention, and Referral to Treatment (SBIRT) for risky drug use. Deborah Van Marter, M.P.H., Senior Manager, Research & Development, will present “Acceptability of Responsible Drinking, a Theoretically Tailored mHealth Intervention to Target Risky Drinking among Employed Adults.” Ms. Van Marter’s poster details the evaluation of the acceptability of a stage-matched and individually tailored behavior change mobile health intervention for employed adults who exceed the recommended weekly and/or daily limits for alcohol consumption (defined by the National Institutes of Health for men as drinking more than 14 drinks per week or more than 4 in a day and for women or anyone over 65 as drinking more than 7 drinks per week or more than 3 drinks in a day). Lynne Broderick, M.P.H., Senior Manager, Research & Development, will present a poster entitled “Health eRide: Outcomes of a pilot program leveraging principles of gamification and SMS messaging to help Veterans self-manage chronic pain.” Ms. Broderick’s poster highlights the design, development, and feasibility of a theoretically-grounded, mobile-optimized, interactive pain self-management intervention for Veterans with chronic pain. The Health eRide leverages text messaging for multiple behaviors and principles of gamification. Each project was supported by the National Institutes of Health. 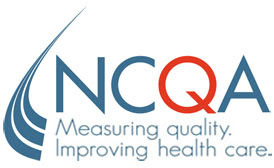 Pro-Change Behavior Systems, Inc. announced that beginning today, Blackstone Valley Community Health Care will offer Pro-Change’s award-winning NCQA-certified Smoking Cessation Program to patients, employees, and community members. The evidence-based, online Smoking Cessation Program includes tailored text messaging and is designed to help all smokers–including the 80% who are not ready to quit or are getting ready to quit. The program now features all content in Spanish. Blackstone Valley’s goal is to recruit every smoker into the program over the coming year and to produce a 35% cessation rate. The availability of the program, which is entitled Fresh Start, will be promoted via personal invitations from members of the care team, including physicians, nurses, dentists, mental health counselors, front desk staff, and Vista workers; email invitations; and custom posters and other informational pieces throughout the health centers. Offering this population-based Smoking Cessation Program is part of a larger effort at Blackstone Valley Community Health Care to transform health care delivery in Rhode Island by deploying the first Neighborhood Health Station in the country. The Neighborhood Health Station is a new kind of community organization that will improve the health of individuals by delivering high-quality, accessible primary care and social services to everyone in the Central Falls neighborhood. The Neighborhood Health Station aims to improve community health by tailoring services to the specific needs of the neighborhoods they serve and by outreach efforts designed to encourage the entire community to receive care. Fresh Start will be made available at no charge to all patients and employees of Blackstone Valley Community Health Care, Inc.
Pro-Change Behavior Systems, Inc. announced today that Dr. Sara Johnson will present at the 2016 HERO Forum, Sept. 27-29 in Atlanta, GA. Johnson will share expertise on managers’ influence on engagement and well-being of team members. Johnson, Pro-Change’s co-President & CEO, will present with Laura Putnam, one of the industry’s leading experts on the topic of enhancing managers’ influence on workplace well-being. Putnam is the CEO of Motion Infusion and author of Workplace Wellness That Works. They will be joined by esteemed colleague Crockett Dale, CEO of Healthstat. The presentation takes place on Tuesday, September 27 at 11:30 a.m. ET. Johnson and Putnam are co-developers of the “Manager on the Move” initiative, which includes the first tool for measuring managerial impact on well-being at work. Together they will explain how the assessment works and provide detailed illustrations of the accompanying workshop that can enhance managerial engagement. Healthstat has been an innovator by being among the first organizations to systematically implement Manager on the Move with their managerial team. HERO Forum is one of the health care industry’s largest annual conferences dedicated to identifying and sharing best practices in the field of workplace health and well-being. More than 500 employers, employee health and well-being providers, wellness industry professional organizations, and research experts are expected to attend. Pro-Change worked with two separate groups of students to create videos that will be included in a mobile application being developed as part of a Phase II SBIR contract funded by the National Institute on Drug Abuse. The app, entitled Individual Well-Being Navigator (Iwin), is designed to increase well-being and decrease substance use among active duty military personnel. The Pro-Change project team presented concepts to the students who then worked collaboratively on the script and production. The student teams, including a director, producer, editor, sound and cameraman, were provided with requirements, budgets, and schedules. Production took approximately four months and gave the students real-life experience in working with a client. One film addresses the physical and mental effects of lack of sleep, and the other illustrates how military personnel can manage tempting situations that make can make it difficult to drink responsibly. Pro-Change staff provided the students with tips and feedback on their communications, work, and organization. The Pro-Change team enjoyed the experience of assisting with the class projects and was very happy with the results, which will be included in the mobile application launch in September. With so many companies offering some kind of programs to help employees address and resolve their work/life balance, why do so few employees choose to participate? Motion Infusion and South Kingstown’s Pro-Change Behavior Systems Inc., which develops behavior change programs, are collaborating for the first time to “find a real solution for a real problem” – that of managerial engagement, said Putnam. By joining forces, the two companies have collaborated to offer – in beta form – Motion Infusion’s ‘Manager on the Move” workshop and Pro-Change Behavior System’s “Manager on the Move” assessment. This assessment, said Sara Johnson, co-president and chief executive officer of Pro-Change Behavior Systems, and Putnam, is an evaluative tool that they believe is the first of its kind in the nation. This joint initiative is designed to engage managers better in their own well-being and to encourage them to model well-being, communicate its importance and create systems that support well-being, said Putnam, who wrote “Workplace Wellness That Works” (published by Wiley in 2015). The pair anticipate going live with the workshops and assessments during the first quarter of 2017. In conjunction with other wellness measurement scales, the “Manager on the Move” assessment evaluates whether managers help or hinder their employees’ efforts to improve their well-being. Are they “multipliers,” who lead by example and communicate the importance of well-being and create a supportive infrastructure? Or, are they “gatekeepers,” who don’t talk the talk, don’t walk the walk and neither create new wellness opportunities nor encourage employees to access existing initiatives? The beta form of the online assessment has approximately 100 items, and requires an average of 17 minutes to complete, said Johnson. The assessment will be offered before a workshop and again three to six months later, to evaluate the workshop’s impact. Ideally, the assessment will also capture data from employees who work for participating managers. As of press time, no business entities or companies in Rhode Island or Massachusetts have enrolled in the workshops or the assessment. Although Motion Infusion and Pro-Change Behavior Systems are targeting geographic areas outside of southeastern New England, area businesses entities and state and local governments are eligible to participate in the beta testing process. During beta testing, they are offering clients a rate that is discounted from the normal prices, which vary depending on a number of factors. 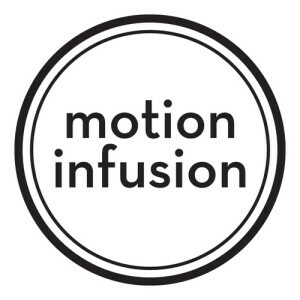 Motion Infusion and Pro-Change Behavior Systems, Inc. announced today the launch of “Manager on the Move Assessment,” the first tool for measuring managerial impact on well-being at work. Gallup research shows that though more than 85% of large employers offer a wellness program, only 24% of employees are participating.1 “Companies providing these programs should take a close look at managerial engagement, as this component is likely the missing link in workplace wellness,” said Laura Putnam, CEO and founder of Motion Infusion. Organizations participating in Motion Infusion’s “Manager on the Move” training and development program gain exclusive access to the Manager on the Move Assessment, developed by Motion Infusion and Pro-Change Behavior Systems. It is the first assessment tool to measure the extent to which managers are engaged in well-being and their impact on their team members’ participation in well-being programming. Specifically, the tool assesses the extent to which managers are multipliers who lead by example, communicate the importance of well-being, and create an infrastructure to support well-being. The Manager on the Move Assessment is administered in advance of the workshop in conjunction with the Well-Being Assessment for Productivity2 and Cantril’s Self-Anchoring Striving Scale, which evaluate where managers are in terms of well-being. By participating in the “Manager on the Move” workshop, managers learn the business case for wellness for their organization and for their team; reflect on their key role in their team’s well-being; receive an assessment and feedback on where they are now in terms of being a multiplier vs. a gatekeeper; develop strategies for moving further down the continuum toward the “multiplier” end; and set goals around their own personal well-being. Three months later, managers are reassessed to gauge the impact of the workshop. Pro-Change Behavior Systems, Inc. has announced the launch of a smoking cessation program based on the TranstheoreticalModel and the science of behavioral economics. The program integrates Pro-Change’s proven Smoking Cessation Program with VAL Health, LLC’s evidence-based approach to financial incentives. Pro-Change’s Smoking Cessation Program is based on the Transtheoretical Model of Behavior Change (TTM). The digital program, which includes tailored text messaging, is designed to help smokers in all stages of change–those who are not ready to quit, getting ready to quit, and ready to quit–as well as those who recently quit. VAL Health’s financial incentives solution, VAL Health Rewards, is an evidence-based program that applies the principles of behavioral economics. The program is proven to improve the impact and efficacy of incentives, yielding results that include tripled weight loss app engagement and 2.4x increase in health assessment completion, all while lowering incentive costs around 50%. 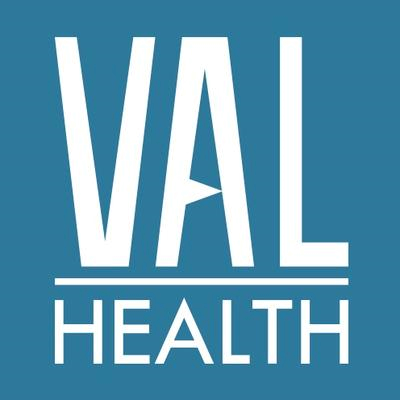 Pro-Change and VAL Health have previous experience working together, including successfully implementing a smoking cessation program with Care New England employees in Rhode Island. This program delivered results including more than double the rate of target participation, 64% program completion, and a quit rate higher than 25% for all those eligible, not just those ready to quit. The Smoking Program is currently available to any smoker in the U.S. over the age of 18 who meets eligibility requirements. It is funded through a Small Business Innovative Research Grant awarded to VAL Health by the National Institutes of Health (NIH Grant 4R44AG044872). Learn more about the program at www.valhealthrewards.com/prochange. Pro-Change Behavior Systems, Inc. today announced the promotion of Dr. Sara S. Johnson and Dr. Kerry E. Evers, two of its senior executives, to the position of co-President & CEO. This change followed the recent acquisition of the company by Drs. Johnson and Evers, and represents the natural succession following Dr. Janice M. Prochaska’s recent retirement as President and CEO. Drs. Janice and James O. Prochaska will continue to serve as consultants to the company. Pro-Change has experienced steady growth under Dr. Janice Prochaska’s tenure and is well positioned for significant continued growth and success with Drs. Johnson and Evers at the helm. Pro-Change will retain its employees to ensure continuity of operations and a seamless transition. Most of the employees have worked at Pro-Change for several years and have played an integral role in the company’s success. Pro-Change was successfully awarded three out of three submitted Small Business Innovation Research (SBIR) contracts from the National Institute on Drug Abuse (NIDA) and the National Cancer Institute (NCI). In Stage-Based Mobile Intervention for Substance Use Disorders in Primary Care, a Phase I NIDA contract led by Deborah Levesque, Ph.D., Pro-Change will develop and pilot-test a prototype of a brief mobile-delivered stage-based Substance Use Risk Intervention (SURI) for primary care patients and a Clinical Dashboard for providers. The tools will be designed to facilitate Screening, Brief Intervention, and Referral to Treatment (SBIRT) for patients with risky substance use and substance use disorders. In iWin: Navigating your Path to Well-Being, a Phase II NIDA contract led by Kerry Evers, Ph.D., Pro-Change will evaluate the effectiveness of the Individual Well-Being Navigator (iWin) mobile application in a randomized trial. iWin, a substance abuse prevention and well-being enhancement program designed specifically for active duty military personnel, was developed and piloted in a NIDA Phase I contract in early 2015. 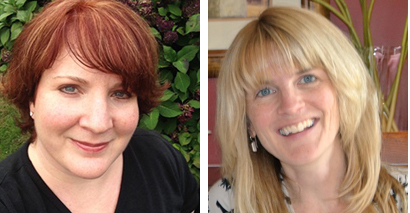 In Integrative Platform for Primary Care Delivery of Evidence-Based Cancer Risk Behavior, a Phase II NCI contract co-led by Kerry Evers and Deb Levesque, Pro-Change will test a stage-based multiple behavior change intervention in a cluster-randomized trial in community health centers. “We are honored that the National Institutes of Health awarded us these special opportunities to develop and test behavior change programs for military personnel and primary care patients,” stated Janice M. Prochaska, Ph.D., President and CEO of Pro-Change.